Michael Emerson Lesen "A Weihnachten Carol"
Did Du like Michael in The legend of Zorro? Dyou thik that es character in Lost es a weirdo? Did Du like Zep in Saw? Are Du watching Michael Emerson's new Zeigen Person of Interest? Role type Du want to see him in future Filme ??? Fans of acclaimed action thriller Person of Interest (Thursdays 9/8c CBS) — the new hit Fernsehen series from creator/executive producer Jonathan Nolan (The Dark Knight, the upcoming The Dark Knight Rises, The Prestige, Memento) and J.J. Abrams’s Bad Robot Productions (Fringe, Lost, Super 8, the upcoming Mission: Impossible – Ghost Protocol) — can see it on the big screen this weekend as the Zeigen makes its New York Comic Con debut with a screening at NYCC 2011. Michael Emerson is taking on one of pop culture's most iconic villains, the Joker, in the upcoming animated DVD-movie Batman: The Dark Knight Returns, Part 2.
a comment was made to the photo: Michael as 'Zep' in Saw! 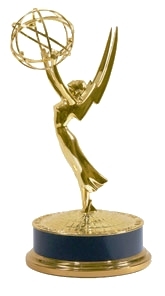 What Emmy Award did Michael win in 2001? ★ Countdown to 500 Fans ★ !! !